Nice pair of sconces made by RAAK, Amsterdam 1955. 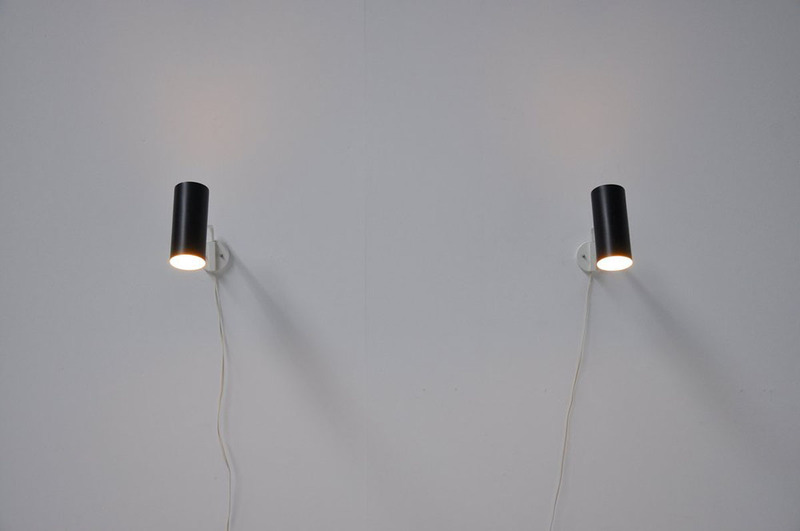 These early pair of sconces are model number C-1582/37 as documented inthe Raak 5 catalogue. 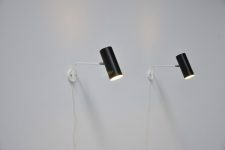 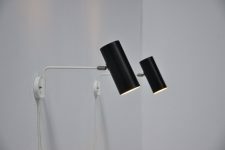 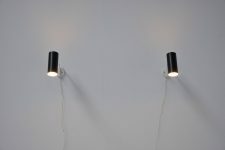 These lamps have a white adjustable arm and black tubular shades. 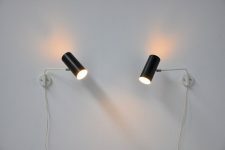 The lamps are in a very good condition and hard to find in a pair as these are.